When we published What Is A Content Mill And 5 Reasons You Might Consider Writing For One, we heard lots of feedback, both good and bad, about content mills. Having never written for one myself, I jumped at the chance to have veteran content writer, Brittany from Equipping Godly Women give us the inside tour about what it’s REALLY like working with content mills. I was fascinated by her answers! Beyond Your Blog: Which content mills have you written for? Brittany: I regularly write for both Textbroker and Writer Access. BYB: Which (of the above) is your favorite and why? Brittany: Both sites have their own advantages. Textbroker is perfect for brand new writers who are just starting out, and there are usually plenty of articles to choose from. Plus, I’ve found quite a few clients who send me orders directly (through the site), so I pretty much always have plenty of work there. 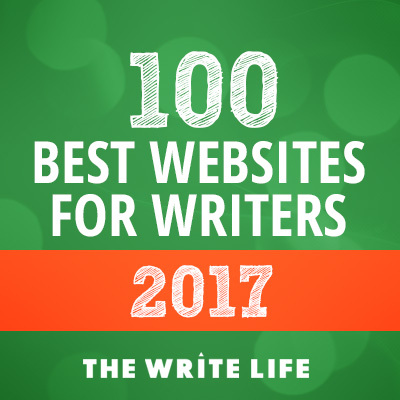 Writer Access pays a little better, but the standards are stricter, it’s a little harder to get started on, and there aren’t nearly as many articles to choose from. I really enjoy writing for both, though, so if there’s not much work on one, I can always find some on the other. BYB: Do you still write for them? If so, what is your strategy? (how often etc.). Brittany: I do still write for both, though the majority of my work comes from Textbroker. I’m a WAHM with a toddler at home, so every day I sit down and write as much as I can during nap time. I generally have enough orders sent directly to me that I always have work waiting for me each day when I sit down to write. If not, then I look through the open list of orders to see what I can find to write. Between writing for these two sites, writing for other bloggers, and writing for my own site, there is always something that I can be doing! I write every day. BYB: Can you give some details about the positive experiences you’ve had writing for these content mills? Brittany: Having dedicated clients truly makes the difference. I have a handful of people who send me orders every week, every month or every couple of months. Because I write for them on an ongoing basis, I know exactly what type of writing they are looking for and what the strengths/selling-points of their companies are, and I find completing their articles very easy. I think the frustration that a lot of people experience from content mills is due to their experiences as a beginner or to things that they’ve heard. But content writing doesn’t always deserve the bad rap it gets. Personally, I love it! BYB: In your opinion, what are the drawbacks of content mills? Brittany: Whether or not content writing is going to be profitable for you really depends on what you hope to get out of it and how much time you can afford to put into it. When I first started at Textbroker, I had no writing experience and was very slow. As a result, I only made $5 an hour. A lot of people will say that that’s peanuts, but since I was a stay-at-home mom with nothing else to do during nap time anyway, the low income never bothered me. It was just extra until I needed to go back to work. Except that I never did have to go back to work. As I’ve gotten direct order clients and raised my rates, I’ve been able to increase my earnings to the point where I make as much or more working from home as I would have had I gone back to work. Other drawbacks include the fact that you don’t get a byline, so it won’t help your professional career, and the fact that content writing’s low standards can make you a lazy writer. I get that. However, my intent with writing was to make enough money that I could stay home and help support my family, and I’ve definitely been able to do that. And I know writing for content mills has improved my writing, personally, as well. Web writing isn’t the same as academic writing. Writing for content mills has helped me hone my web writing skills. BYB: What are the positives of writing for content mills? Brittany: There are so many! I’d say the thing that I love the most about writing for content mills is how incredibly flexible it is. I can write as much or as little as I want, any time I want, from anywhere I want. I don’t have to show up to work; I just log on the computer during nap time or after the kids are in bed. In my opinion, it is the absolute perfect job for a stay-at-home mom (like myself). Another huge benefit is the fact that it pays, and it pays quickly. If you are trying to earn your living from blogging, it is going to be quite a while until you see any profit. I’ve been blogging for a year now and haven’t even made $3. (Although, admittedly, I wasn’t trying too hard until lately). With content writing, however, you can start today and get paid within a week or two. You aren’t sending in a bunch of articles hoping that someone will pick them up, and you aren’t writing for free. You can start earning money today while you work on building your writing career. Yes, you are probably only going to make $5 an article starting out, but once you get good at it, you can increase your rates, improve your speed, and have plenty of work lined up so you are making far more than that. Lastly, you’ll also get more feedback writing for content mills than you probably will by submitting your work to various sites. When you submit a piece to a large website, you may not even hear back. When I submit articles to Textbroker, however, their team of editors reviews every piece and will let me know if I’m making the same errors time and again, or if there is anything I need to improve. Plus, most sites have a forum where you can connect with other writers and get feedback and help as well. Or course, you can find feedback in all sorts of groups, but I’ve found that many other bloggers will only say nice things while editors will actually be honest. BYB: Can you describe the writer/blogger that would benefit most in your opinion from writing for a content mill? Brittany: Content mills are perfect for new writers without a lot of experience. Obviously, if you have built up a portfolio and can get paid $200 an article–you should be doing that instead! But for brand new writers without a lot of experience, it’s a great first step. I would also say that content mills are better suited for bloggers who need a way to make an income while they are working on their own blogs rather than someone who is serious about becoming a professional author for a living–just because those are two very different styles of writing. BYB: How much money can a blogger/writer expect to make writing for content mills? Brittany: This is a tough question! It really depends on how good of a writer you are, how much work you can find, how high you set your rates, how fast you are etc. There are a lot of variables that go into it! I think you just start out low and gradually work your way up the pay scale as you increase your abilities and confidence. I would say that $5 to $10 is probably a good place to start out, and once you know what you’re doing, $20 to $30 an hour isn’t unreasonable, and then on up from there. I would just say to be realistic. No, writing for content mills probably isn’t going to skyrocket you into a hugely profitable writing career. But with a little hard work and self-determination, it is a fantastic way to earn an income (or even just some extra cash) while doing what you love. And it can be the stepping stone to other, more profitable, types of writing as well. Stay-at-home mom turned content writer, Brittany loves helping and encouraging others with her writing. When she isn’t writing for content mills or other bloggers, Brittany also writes for her own blog, Equipping Godly Women, a helpful and inspiring website that helps women be the amazing women God created them to be. You can find Brittany on Facebook, Twitter, and Pinterest.